BROWSE 2002-2008 DODGE RAM TRUCK ROCKER PANELS Too many Dodge pickup trucks get taken off the road because of rust. Rocker panels are particularly susceptible to damage and rust because of their location along the lower edges of your cab, where they are exposed to water, rocks, debris and road salt. At Raybuck, we offer a great selection of slip-on or full welded rocker panels for the 2002-2008 Dodge Ram 1500 pickup trucks and other models. 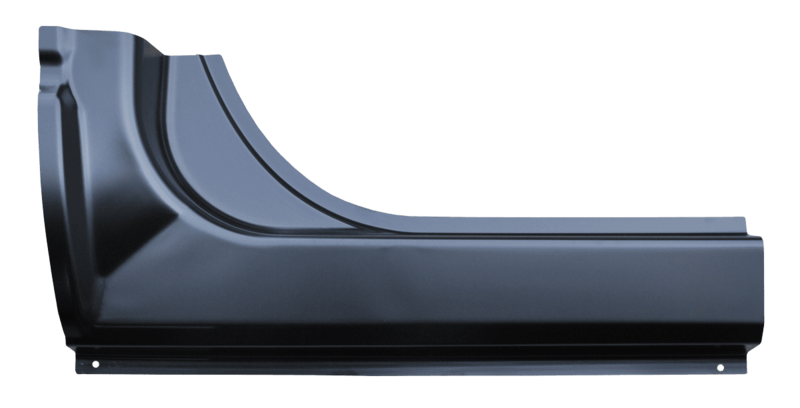 Available for regular, mega and quad cabs, our top-quality rocker panels can help you extend the life of your trusty workhorse and get the most from your investment. Our online inventory is easy to browse, and we have a knowledgeable staff ready to help you find the right rocker panels for your Didge truck. Call us for assistance selecting the right panels or to place your order today! 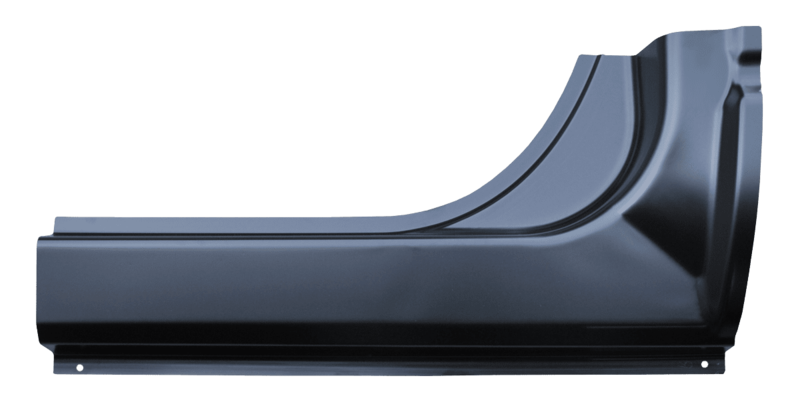 • Our Dodge rocker panels are designed using 3D scans of original parts for perfect fitment. • You get panels as thick or thicker than OEM parts for improved strength and dent resistance. • Our rocker panels are made from heavy-gauge stamped steel and finished with an EDP coating for added protection and corrosion protection until you put your final paint coatings on it. Whether you choose slip-on or full welded rocker panels, you’re getting parts that eliminate the issues that come with cheap, ill-fitting options that need to be modified to work. Your reliable Dodge Ram pickup isn’t ready for the scrapyard yet, so help extend its life by replacing your rusted rocker panels with a new set from our catalog. Choose by year, make and model, paying close attention to body style configuration to ensure you’re selecting the rocker panels that are the right length and shape for your Ram pickup. • Slip-On Rocker Panels: With the slip-on style of rocker repair panels, you only trim away the rusty portions of your existing rocker panels and glue, rivet or fasten the new panels over the top of the old ones. While some skill is required, this may be a good choice if you don’t have the welding skills or tools for the full welding of new rocker panels. With proper installation and painting, your truck will look better and will last longer, though a seamless, like-new finish is difficult with this option. • Full Welded Rocker Panels: If your Dodge Ram’s old rocker panels are almost completely rusted through or you’re looking for a more seamless finish, your best option is likely full replacement panels. You need to remove your old panels completely and weld the new ones in place. This is a good option if you are looking for a nicer finished look and if you have at least moderate welding skills and experience. To make your job easier, all of the replacement rocker panels we carry for the 2002-2008 Dodge Ram pickup are designed using 3D scans of original parts, so you can be sure they fit properly. Cheaper parts are often made to lower standard or are made to fit a range of vehicles and don’t always fit the way they should. You are also getting panels made from heavy-gauge stamped steel that is as thick or thicker than OEM panels. Our helpful and knowledgeable staff is waiting to answer any questions you might have, so contact us today by phone, email or online chat. You can also start browsing our inventory by selecting the year, make and model of your Dodge pickup and discover all of our rust repair rocker panel options.